Today we would like to talk to you about deeplinks and how you can use them to increase engagement within your app. A deeplink is basically a URL address for your app. Whereas a URL links to a site or location outside of your app, deeplinks link directly to specific sections of your app. 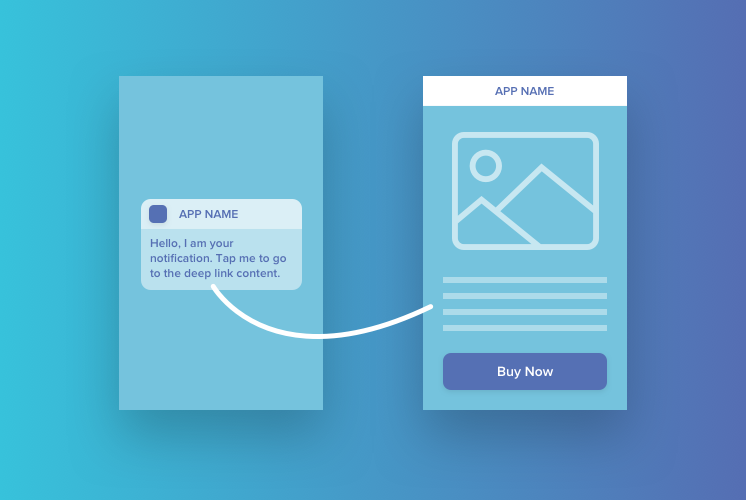 This allows you to bring people from a push notification, in-app notification or a campaign directly to a specific area of your app. For instance, you may have a treats section where users can redeem loyalty points that they have collected using your app or product. When any customer reaches a points milestone, you could send them a campaign to let them know and add a button called ‘Redeem’. When the user clicks on that button, you could use a deeplink to bring them directly to the Treats section of your app so that they can start using some of their points. Last week, we released a big update to enable bringing app users directly to a deeplink or url from a push or in app notification and you can find out more about that here. Now it is easier than ever to bring customers in one click to the right part of your app, simply send them a push notification or in app notification and choose a deeplink and the user will be brought to the right part of your app as soon as they open the notification. Deeplinks can also be added as the destination for card buttons within the Pulsate Message Center. Adding deeplinks to Pulsate is also easier than ever before thanks to a recent update. You can now go into App Settings to find the Pulsate Deeplink Manager. Here, you can quickly add deeplinks to Pulsate and edit or remove existing deeplinks. We will also be adding an API endpoint soon to enable remote adding and managing of your deeplinks so look out for that. For more detailed information on using deeplinks in Pulsate, please click here.